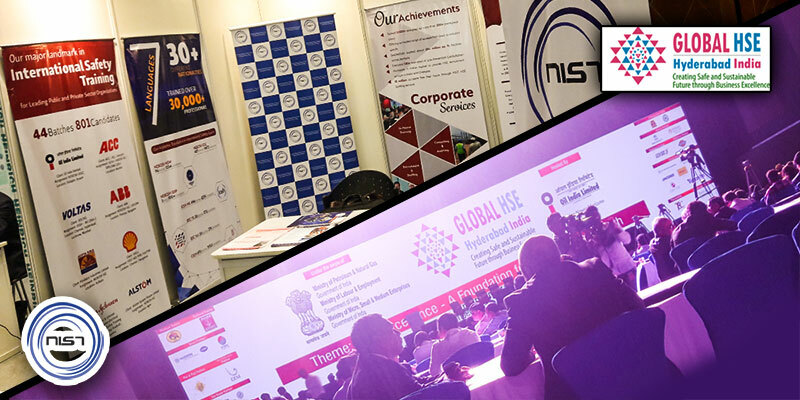 The Global HSE exhibition was held fifth time in Hyderabad in September (21, 22) 2017. Under the theme of "HSE Excellence : A Foundation for Sustainable Growth", the event brought together industry leaders and managers (600 in numbers) from MENA and Asia pacific region. This two day conclave was inaugurated by Shri. K.T. Rama Rao (Hon'ble Cabinet Minister from Govt. of Telengana), who was also the Guest of Honour. Another dignitary present at the event as Chief Guest was Shri. Santosh Kumar Gangwar (Hon'ble Minister from the Ministry of Labour & Employment, Govt. of India). In addition, Special Guest attendees were Shri. K.D.Tipathy (Secretary to Ministry of Petroleum & Natural Gas, Govt. of India), H.E. Dr. Shaikh Mohamed Al Khalifa (CEO of Baharin National Gas Company), and Shri. Jitheder Reddy (Member of Parliament). However, Utpal Bora (Chairman and Managing Director of Oil India Ltd.) graced HSE delegates with ceremonial opening address, where he emphasized on challenges faced by the industry and sharing the best practices. Other significant industry leaders marked their presence from industries like GAIL, RIL, HOEC, COO, LNG, Vedanta, Bharat Oman Refineries Ltd., OIL, DGMS, Technip, and Adani Power among others. The highlight of the first day event was discussion by HSE professionals across industries on challenges and possible interventions to improve road safety in India. In addition, a session was conducted on technology transfer, where implementing modern technology and brining digital revolution in HSE Management were emphasized. Further, there were deliberate discussion on topics like 'Disaster Management', 'Interrelationship between Individual Wellbeing and Organizational Success', 'Implementation of Process Safety Management', and 'Employee Engagement in Safety', 'Competency Assurance', and 'Contractor Safety Management'. One of the discussions that attracted considerable attention was adopting a proactive HSE culture. Second day of this event witnessed technical session on sustainability with the importance of sustainable reporting in organizations. Again, there was session on organizational HSE Learning that signified providing proper information on risk and control to concerned personnel. Among other discussions, prominence was also given on 'Health and wellbeing of occupants in their respective business facility', 'Safety Hazard in Pharmaceutical Sector', 'Natural disaster and means to counter them', 'Man and Machine Interaction at workplace and related challenges'. A noticeable feature of this event was stand number A5, occupied by NIST, which happened to be a busy location with lots of traffic. This fact could be attributed two facts; one is most of the presented delegates and visitors recognized NIST as brand. 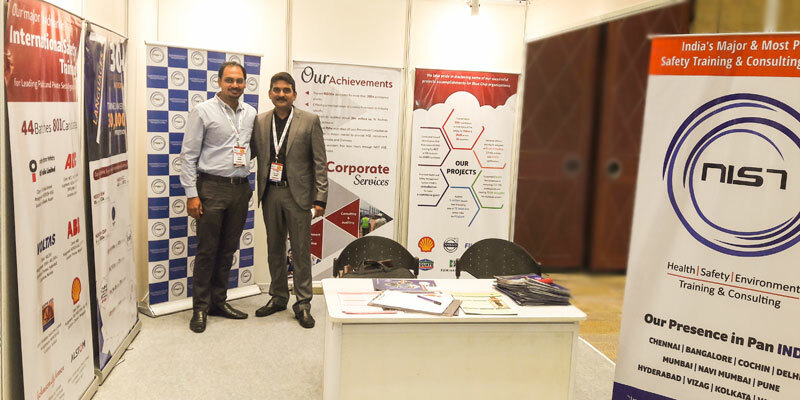 Another fact is that, this organization showcased its products and services along with corporate giants like ONGC, OIL, GAIL, Indian OIL, and Cairn Vedanta. Interestingly, these corporates are happened to our esteemed customers. Response rate so far received was excellent, as we received serious business queries from the visitors as well as corporate delegates. 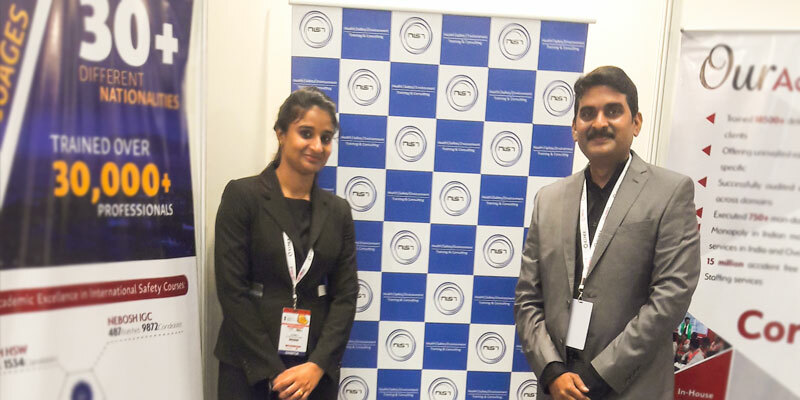 Moreover, some corporates showed interest to be partner with our organization for consulting and auditing needs. During the show, we also received queries and interests from some visitors to pursue international course like British Safety Council. 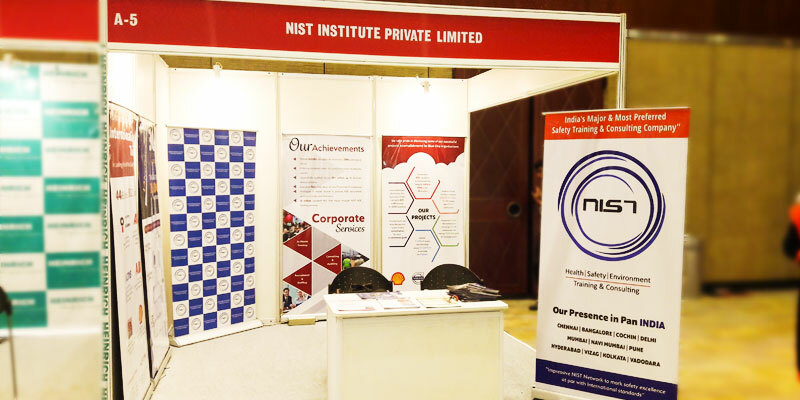 Overall, a nice experience for NIST for participating in this event as it marked its presence better than previous years. In the valedictory session, panelists made introspection on future of HSE in the region. 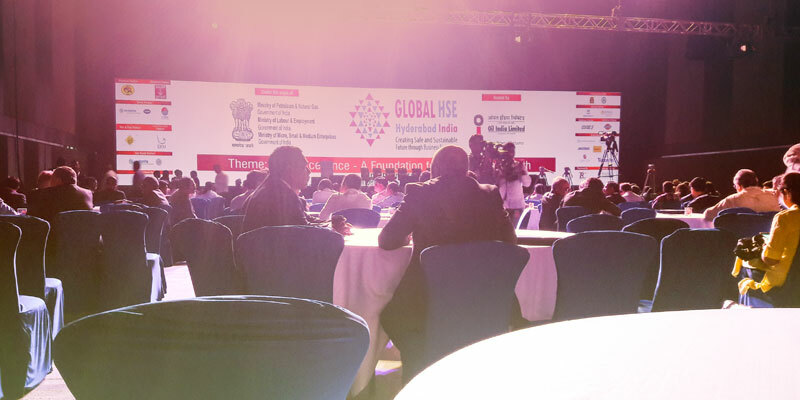 Finally, curtain came down on Global HSE summit with vote of thanks by Shri. Arvind Bodhankar (Corporate honcho from Tata Motors).